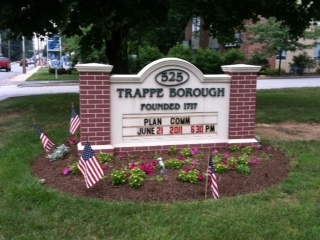 Trappe Borough is home to 3,509 people, according to the most recent Census. The Borough is located in central Montgomery County, about a one-hour drive from center city, Philadelphia, and encompasses 2.24 square miles. 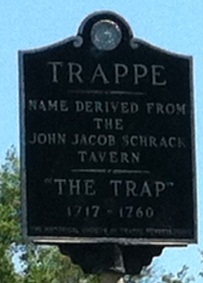 While primarily a bedroom community, Trappe possesses modest agricultural, industrial, and commercial uses. The Borough’s main thoroughfare, West Main Street, boasts many retail and specialty shops which are reminiscent of the quaint country villages that once dotted the Pennsylvania landscape. The Borough was settled in 1717 and formally incorporated in 1896. The Augustus Lutheran Church, the oldest unchanged Lutheran Church building in continuous use in the United States, is located in the Borough, as is the homestead of Frederick Muhlenberg, signer of the Bill of Rights and first Speaker of the United States House of Representatives. Borough government consists of an elected Mayor and a seven Member Council. 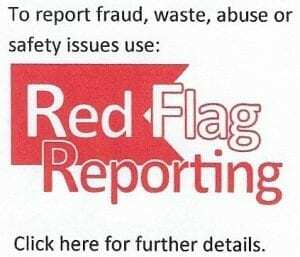 A professional Borough Manager is responsible for day-to-day administration of the Borough.